With the appropriate care, your teeth that have had endodontic treatment will last as long as other natural teeth. Yet, a tooth that has received treatment may fail to heal or pain may continue to exist. Sometimes, the pain may occur months or years after treatment. If so, Endodontic Retreatment may be needed. Curved or narrow canals that were not treated during the initial treatment. Complicated canals that went undetected during the initial treatment. The crown or restoration was not placed within the appropriate amount of time following the procedure. The crown or restoration that did not prevent saliva from contaminating the inside of the tooth. New decay can expose a root canal filling material, causing infection. 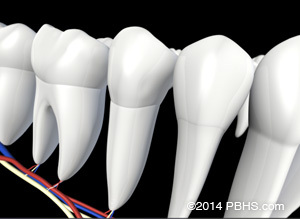 A cracked or loose filling or crown can expose the tooth to new infection. Once retreatment has been selected as a solution to your problem, the doctors will reopen your tooth to gain access to the root canal filling material. 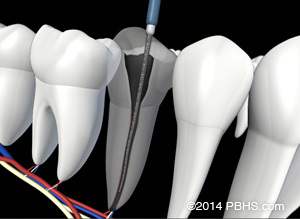 This restorative material will be removed to enable access to the root canal. The doctors will now clean your canals and carefully examine the inside of the problematic tooth. Once cleaned, the doctors will fill and seal the canals and place a temporary filling in the tooth. At this point, you will need to return to your dentist as soon as possible in order to have a new crown or restoration placed on the tooth to restore full functionality. Chevy Chase, Bethesda, Potomac, Rockville, Annandale, Arlington, Ashburn, Burke, Centreville, Chantilly, Fairfax, Falls Church, Gainesville, Herndon, Manassas, McLean, Oakton, Reston, Springfield, Sterling, Vienna, Washington D.C.
We’re here for you! If you are in pain or have an emergency, every attempt will be made to see you the same day.